A great game with both teams fighting hard right to the end. Credit to Hitchin, they started very well and put us under pressure early on. Only a great defence work stopped them from scoring first, holding up the last man as he was diving behind the try line. The ensuring scrum was well held by our boys and we weathered the pressure, steeling a good ball in a ruck and then it was our turn to put them under pressure. Following a great run from Owen along the line, we ended up within their 22s and the ensuring few rucks created space on the outside for us to score first, a bit against the run of play at the time. Hitchin were running great forward lines and their direct pick and go and rucking skills often put our boys under pressure, but we defended very strongly and many turned over ball helped us open the game with our backs who were then finding space on the outside or through the middle. 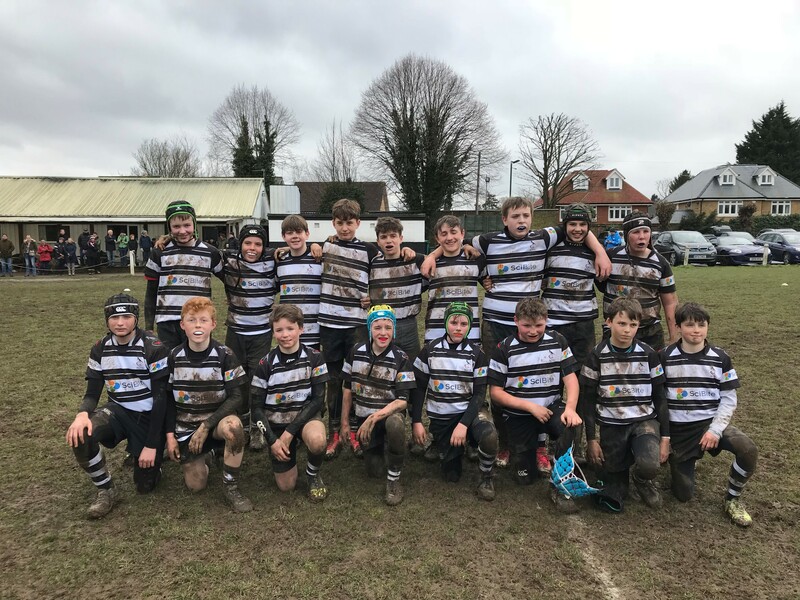 In the end Billy, Sammy, Owen, Sean, Benjamin and Ben found the try area to score, with Luke kicking two conversions, against 2 tries from Hitchin’s forwards. Although the score looks flattering to Royston, the game was much more balanced. Their forwards often put us on the back foot, especially in the scrums, but only few times did we go backwards, losing only one scrum. So a great job today by our front five, and especially to our fronts rows whom all played extremely well. This was the strongest opposition since our first game at Cambridge and the boys raised their games to the opposition and responded well to the challenge. Well done all.